If the profit earned by company L in the year 2005 was Rs 1.84 lakhs what was the profit earned by the company in the year 2006 ? If the profit earned by Company M in the year 2008 was Rs 3.63 lakh what was the amount of profit earned by it in the year 2006 ? What is the average per cent rise in the profit of Company L over all the years together ? Which of the following statements is True with respect to the above graph ? 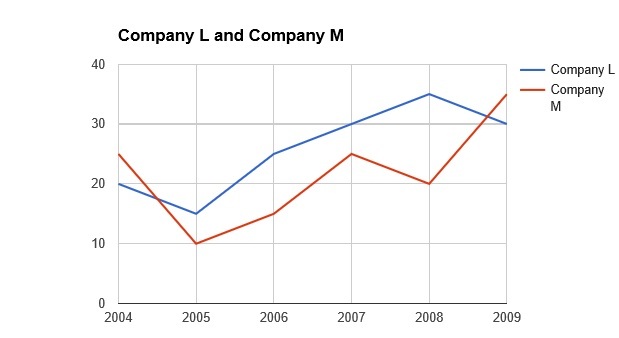 What is the percentage increase in per cent rise in profit of Company M in the year 2009 from the previous year ?